We’re delighted that Emily is joining us to lead you through the process of sewing a Liesl + Co. Extra-Sharp Pencil Skirt. We’ve broken down the sewing into two days. Are you ready to sew your Liesl + Co. Chai Tee? We’re glad you’re here to join us! We’ve broken down the sewing and spread it across three fun days. We’re delighted that Rita is joining us to lead you through the process of sewing a pair of Liesl + Co. SoHo Shorts. We’ve broken down the sewing into five days for you. 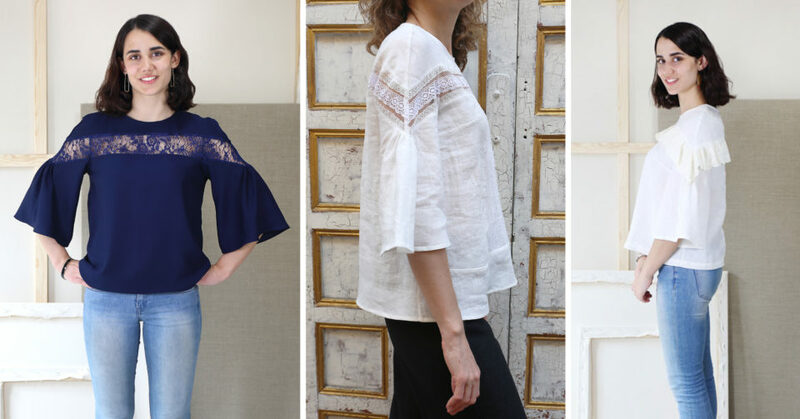 Join us as we sew through the Liesl + Co. Classic Shirt. There’s no need to be intimidated! We’ve spread it across five fun days. Never sewn swimwear before? No worries! Liesl is here to walk you through the process of sewing the Lisette for Butterick B6358 swimsuit. She has broken down the project into five days, and she provides lots of hints and tips along the way. We’re delighted that Brittney from Sewing for Four (Plus One!) is joining us to lead you through the process of sewing a Liesl + Co. Gallery Dress + Tunic. We’ve broken down the sewing into five days for you. We’re all ready to sew the Oliver + S Swingset Skirt. We’ve broken down the sewing and spread it across three fun days. Join Rachel to sew your own skirt. Liesl is here to walk you through sewing the Lisette for Butterick B6244 coat. It only has three pieces, no linings or facings, and a minimum of seams. So it’s a quick and easy sew that makes a stunning piece of outerwear. We’ve broken the sewing up into three days for you.